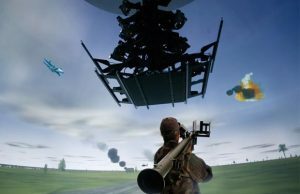 Based on the success of the IS-900 technology deployed with the reconfigurable, rotary wing simulators used in the U.S. Army AVCATT program, Link again is working with InterSense to provide the most reliable head tracking system for this U.S. Navy distributed mission simulation and training program. 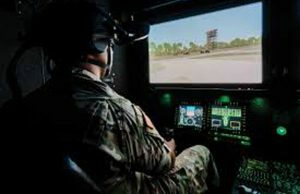 Based on the success of the IS-900 technology deployed with the reconfigurable, rotary wing simulators used in the U.S. Army AVCATT program, Link again is working with InterSense to provide the most reliable head tracking system for this U.S. Navy distributed mission simulation and training program. 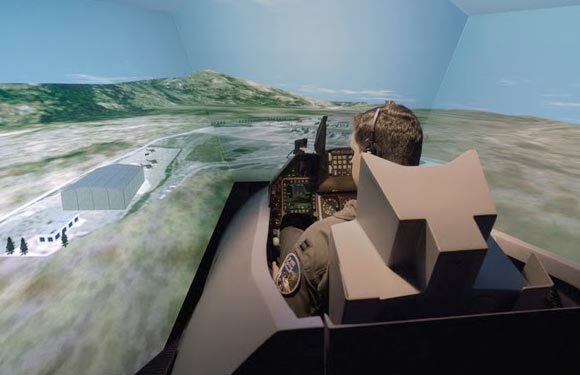 Each F/A-18C DMT suite consists of four high fidelity, networked trainers enabling pilots to train simultaneously as a division within a highly realistic, simulated environment. The IS-900 Helmet Tracker tracks pilot head motion to ensure that the correct simulated image seen in the night vision goggles is displayed on the SimuSphere when the pilot moves his head. The helmet tracker’s ergonomic design allows simple and secure placement on individual helmets so pilots can use their personal head gear in the simulator.